When you don’t know where to turn, let Mobile Notary 24/7 assist you with all of your notarial needs. 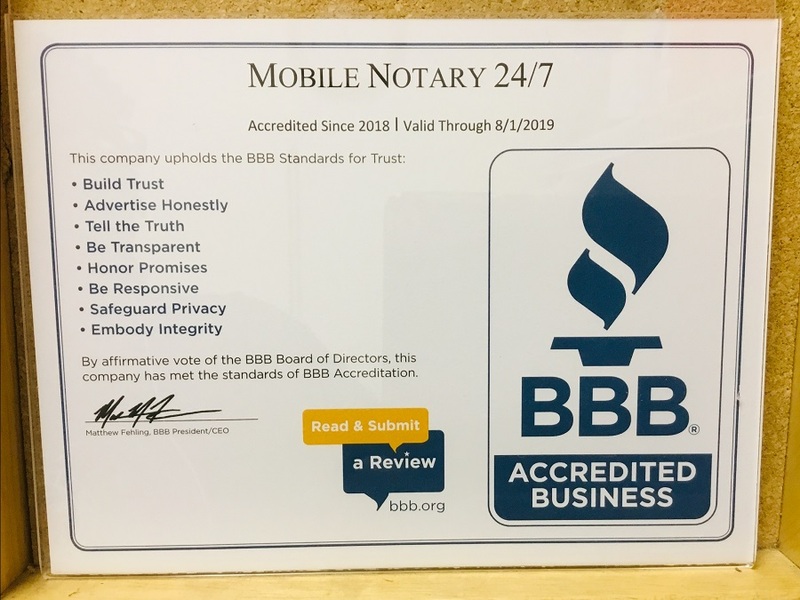 MOBILE NOTARY 24/7 is your one-stop shop… 24 hours a day, 7 days a week, 365 days a year. Our notaries are specially trained to facilitate mortgage signings, and to recognize, interpret and explain all complex mortgage/loan signing documents to you. Our service is mobile and by appointments only. 24/7 emergencies welcome! We are available 24/7 to notarize anything in Pinal or Maricopa County – Maricopa, Casa Grande, Arizona City, Eloy, Chandler, Gilbert, Mesa, Tempe, Laveen, Phoenix, Sun Lakes, Stanfield, and Sacaton. Our notaries are trained to double check each signing document for accuracy of signatures, dates, stamp, etc. Notaries also complete each signing in a timely matter, so that the documents can be dropped for shipping before the scheduled pick up time. The documents will arrive the following day, guaranteed. Disclaimer: As a notary I am not allowed by the law to give legal advice or prepare legal documents. Please consult a licensed attorney. We charge a convenience fee for our services which will depend on your location and time of day or night. All notaries are licensed and bonded and have completed the detailed background screenings with The National Notary Association.